Last week we posted about the launch of Even Financial, a P2P lending firm focused on the supply side of the industry. Their goal is to bring added efficiency to attracting borrowers (supply) to use P2P lending platforms for sourcing their loans. Even Financial’s launch occurrs as their CEO Ian Rosen explained to Forex Magnates that currently investors outstrip borrowers by a four to one ratio in the sector. As a result, investors are seeing the profit potential of providing funds on P2P lending platforms, but there is a gap in borrowers to satisfy this demand. Aiming to attract borrowers, P2P lenders have also begun to search for partners to promote their businesses. One such model is via affiliate deals, where website owners or financial institutions receive a percentage of future revenues for referring customers to a P2P lender. The attraction of affiliate driven customer flow is that it is primarily performance based, with partners only compensated after providing leads or customers that finalize loans on the platform. The lower upfront cost is important for the P2P lending sector as other marketing channels such as with search marketing, are fairly expensive when targeting ‘credit’ and ‘loan’ related search keywords. Following this trend, a recent partnership was formed between P2P lending platform provider Lending Club and HomeAdvisor. A home improvement website, HomeAdvisor provides users with assistance in design, finding pre-screened professionals to contract for work, and other building related information. 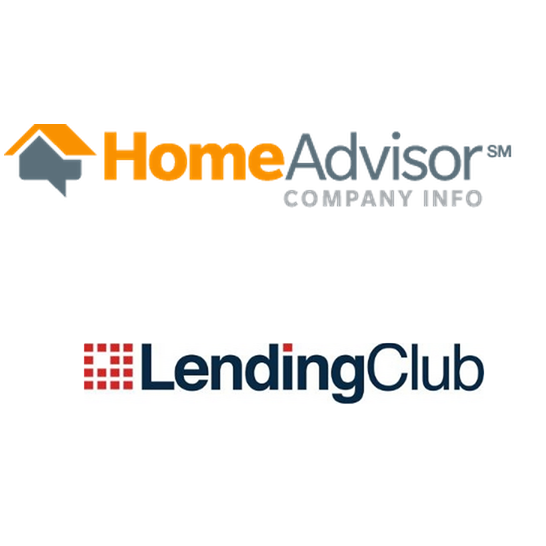 With their multi-year partnership, Lending Club will become the exclusive provider of loans marketed to HomeAdvisor users that are seeking financing for home improvement projects. 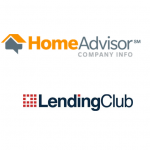 The partnership puts Lending Club in front of prospective borrowers who arrive at HomeAdvisor with a specific loan type that they may be interested in. For investors, adding a specific subset of borrowers is a benefit as it is easier to analyze potential loans when they are in similar categories and conditions can be compared. Beyond just websites, we are also seeing interest from existing financial firms seeing a potential in marketplace lending. With many banks cutting back on their lending habits following the application of increased capital requirements in the aftermath of the 2008/9 global financial crisis, they have looked to alternatives to monetize their customer bases. Among opportunities is through partnering with P2P lenders, and referring borrowers to them that don’t fit their lending requirements. In such a deal, RBS, the UK’s largest small business lender with 33% of the market announced in January that it was partnering with P2P lenders Funding Circle and Assetz Capital. Under terms of that deal, RBS began to refer small business customers seeking loans to the P2P lenders who don’t meet the bank’s loan criteria. Beginning with the two P2P lenders, RBS aims to create a lending marketplace of sorts with a goal to ultimately add additional platforms to bid on business from their referred clients.